Consumer Reports stated there is a trend in the United States that many people who don’t need a truck per se are buying pickup trucks as their family car. Likewise, women, both single and married, are buying more pickup trucks than ever before, with a 67 percent increase since 2008. JCWhitney, ‘Everything Automotive,’ is over 100 years old and the oldest aftermarket parts seller in the US. The company is a leading retailer and offers over one million products to meet the needs of most repairs and upgrades.Product can be purchased through the website or catalog. 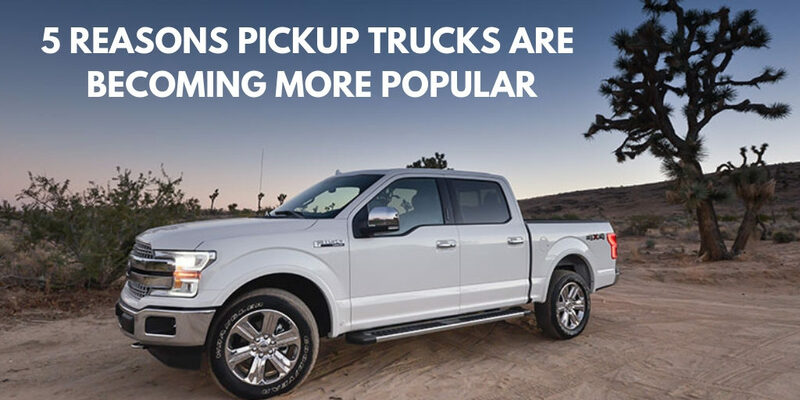 What’s The Attraction Of Pickup Trucks? One major change in today’s trucks is that there are extra or extended cabs that can actually comfortably seat adults. These are trucks that have four doors that are full sized. Thus, these are trucks that allow for comfortable seating of an entire family. Four-wheel drive trucks, in particular, sit high above the rest of the traffic on the road and allows the driver to clearly see the road ahead. This is a huge protection! Trucks are also constructed stronger and beefier than other passenger vehicles, so they sustain less damage in accidents and better protect their occupants. Many trucks in the past had a stiff, bumpy ride. Today, trucks are designed to have a smoother ride. Also, many trucks today are equipped with the same “infotainment” systems found in other higher-end vehicles and more comfortable seating. The New York Times is reporting that some luxury vehicle buyers are actually spurning the typical luxury vehicles and buying higher-end pickup trucks instead. Of course, a major attraction for buyers of trucks is the ability to haul a load of cargo. People who live in snow country and gather their own firewood fill their truck beds with downed wood from the forest service lands, after getting tags and paying a nominal fee. Putting a camper shell over the truck bed will keep the contents, like a prized bicycle or camping items, safe from rain. Clever bicycle stands with rails to mount in a truck bed allow truck owners to store their bike in the back of their truck upright, ready for their next ride. Many people prefer to camp from the back of their truck bed with a camper shell over it. This provides them more protection from the cold and elements than a tent. Even those without a camper shell can buy tents today designed to fit in their truck bed. Many people prefer to camp in a trailer. Often, people who tow trailers do so with six to eight cylinder trucks, depending upon the size of the trailer. Trucks are more suited to towing larger loads than are most passenger vehicles. “Whether you are replacing a broken part, have been in a collision or just want to trick out your ride, we provide a comprehensive solution that meets all of our customers needs over the lifetime of their vehicle ownership, said a spokesperson of JC Whitney.